Jerry Adams, one of the founders of what became Chattanooga, Tenn.’s biggest accounting firm, died Thursday in Chattanooga at the age of 74. Adams, a Chattanooga native, started the Decosimo CPA firm in 1971 with Joe Decosimo and Marion Fryar and later became its managing director when the firm was one of the biggest independent accounting firms in Tennessee before merging with Elliott Davis in 2015. 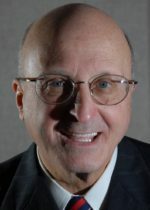 Nick Decosimo, who succeeded Adams as managing partner for Decosimo & Co. and its successor, credited Adams for much of the growth of the company and praised his humble and generous manner. Adams was an active civic and church volunteer, including serving as the 1996 chairman of the Chattanooga Chamber of Commerce as well as chairman of the University of Chattanooga Foundation and the executive committee of the Tennessee Baptist Adult Homes, and treasurer of Rotary International District, the Tennessee Supreme Court Historical Society and the executive committee of Bibles in the Schools. He was recognized as the 1999 Public Service Award winner by the Tennessee Society of CPAs.